Hi Mush! I viewed 12 more of your past gorgeous pots! 12 x 5*****! I just have one more page to catch up on! Hi Mush! 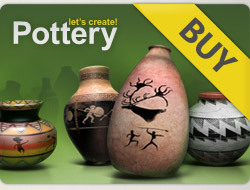 I viewed 24 more of your past exquisite pots! 24 x 5*****! I do hope you make more beautiful creations! I will visit again to see more! Спасибо за внимание к моим горшкам. I made it back to see 24 more fabulous pots! 24 x 5*****! Inspiring!